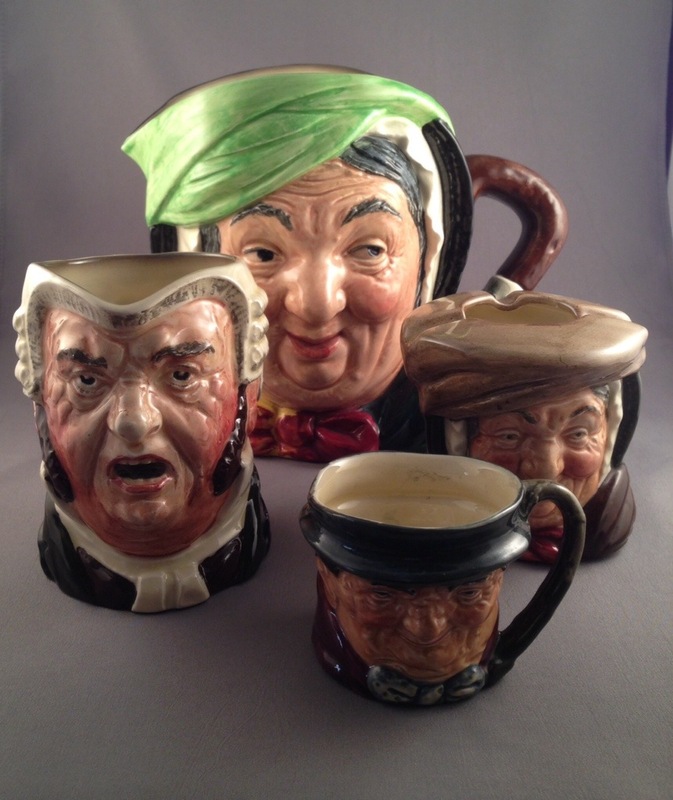 A quick guide to dating Doulton’s Dickens figures! 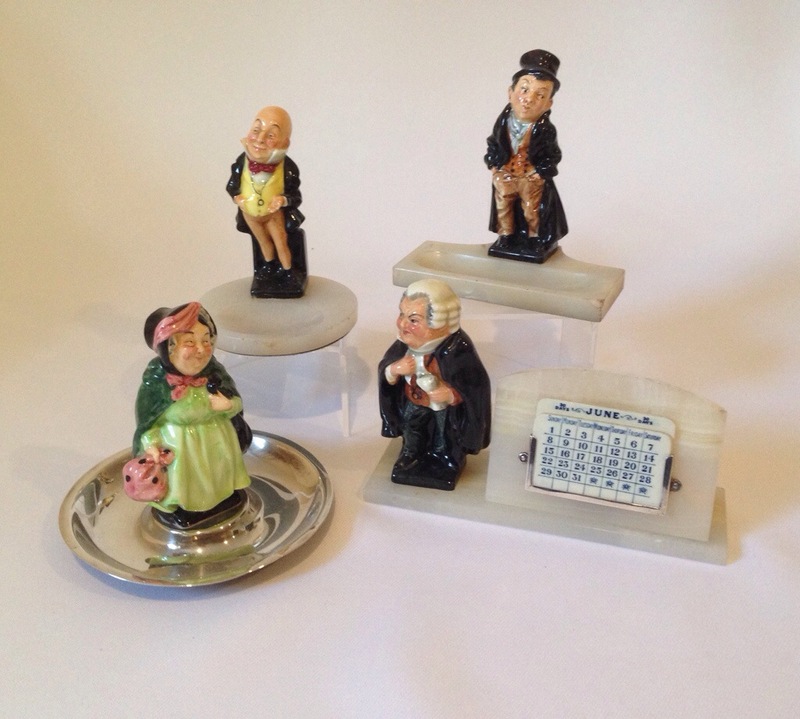 Leslie Harradine’s collection of Dickens miniature figures still bring collectors much joy although they have been out of production since the early 1980’s. Collectors tend to focus their collecting on either the early bone china models with their thinner bases or else those made in earthenware after 1949 with their deeper bases. However there are a few tips to dating the early models that I thought I would share. 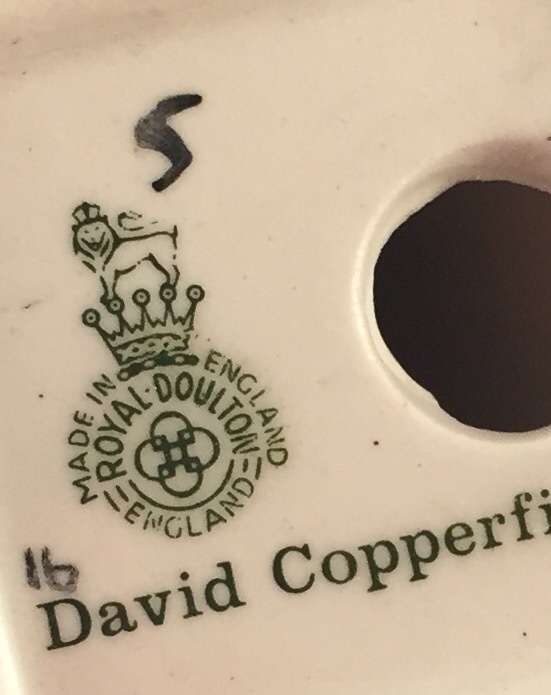 This is the earliest stamp with simply the word Doulton printed in an arc. This is the second mark from the late 1920’s. 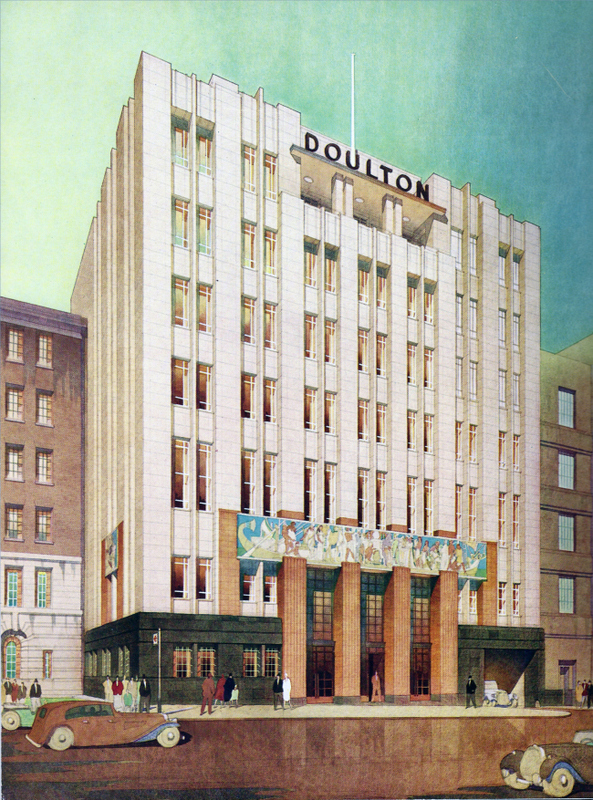 A second version of this can be dated to after 1930 when the names of the figures were also included. 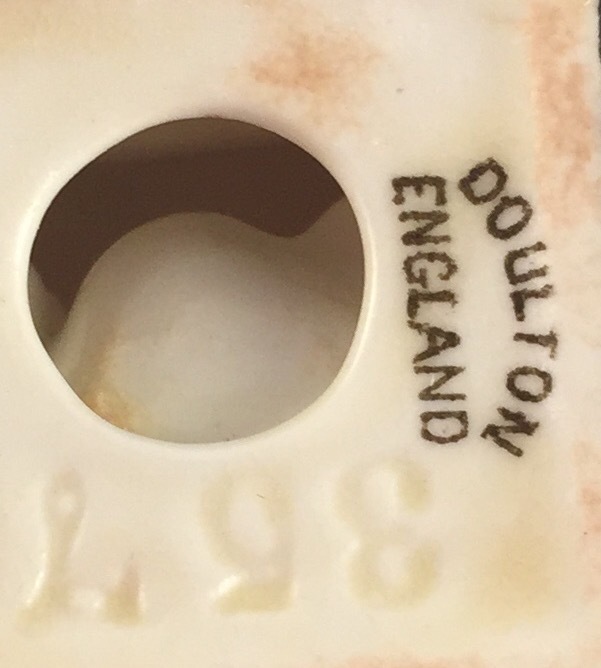 Finally a post 1949 example with standard Doulton mark. 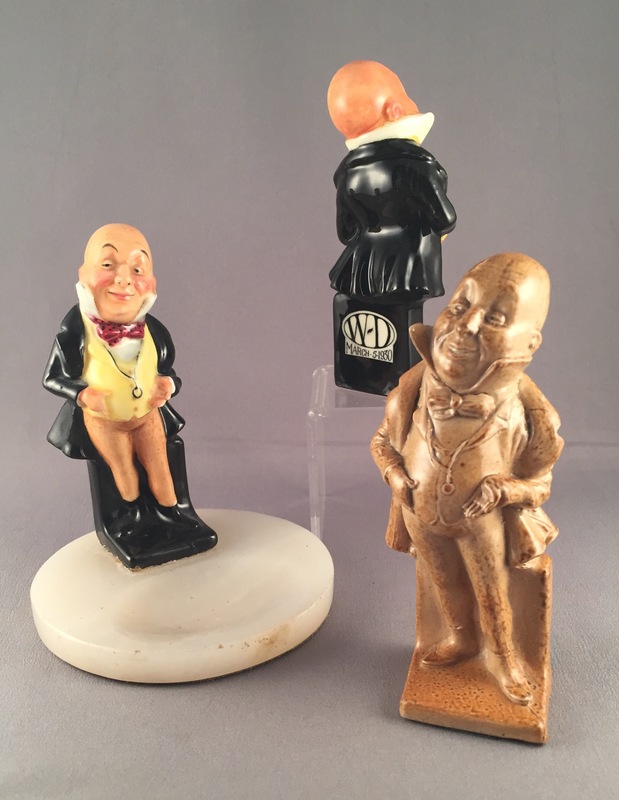 To finish here are three examples of Micawber: an early 1920’s example on a marble tray, the unusual Woodall Duckham commemorative from 1930 and Harradine’s original model for the study. You can see the thickness of the base increasing steadily even between the early 1920 example and the 1930 example. 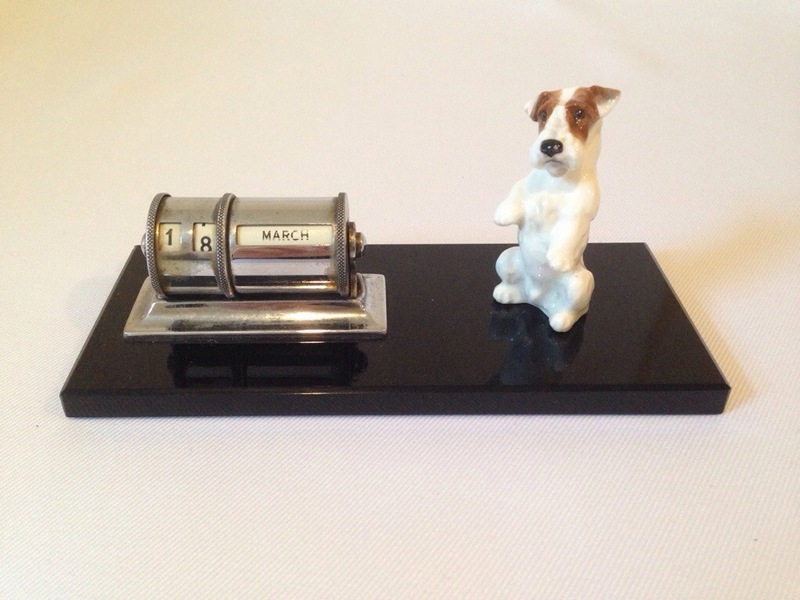 Collectors are often bemused to see their cherished figures mounted on bookends, calendars and dishes! This trend began in the early 1920’s at the same time as the figure lamps were produced. 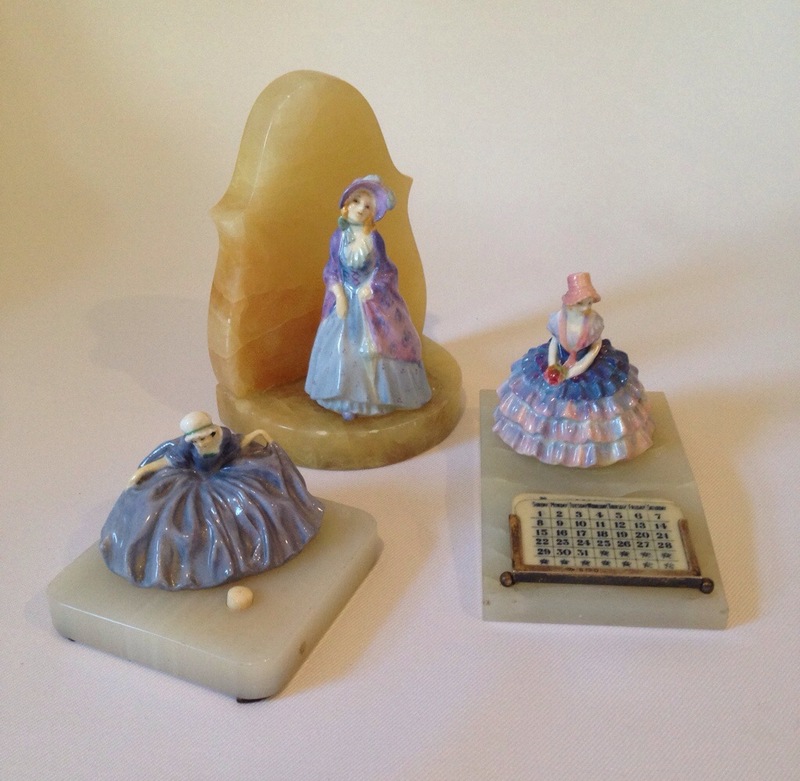 ‘M’ series miniatures are perhaps most often associated with bookends and certain calendars like these below. 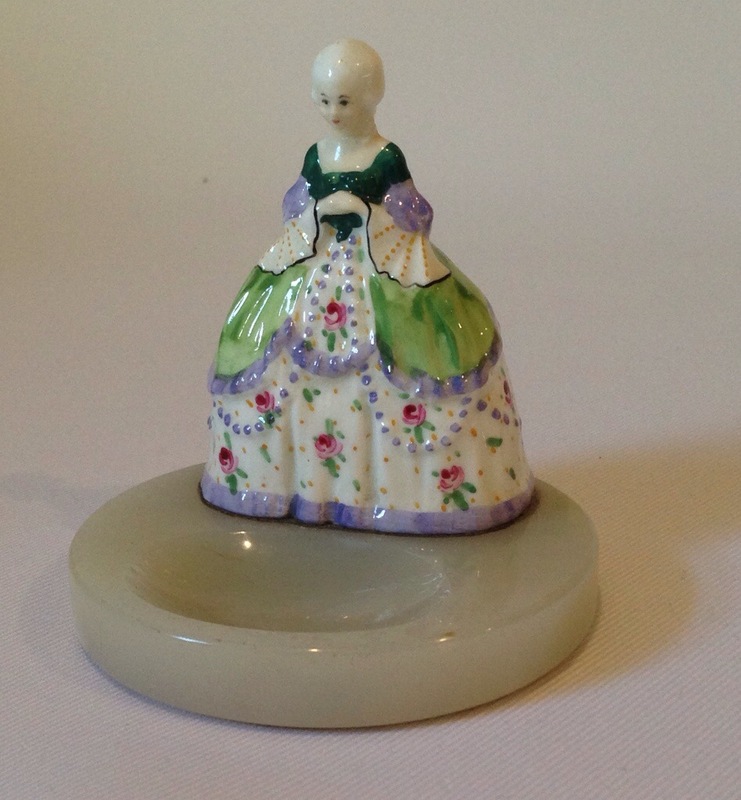 Occasionally very rare figures turn up mounted on bases, such as this Crinoline Lady pin tray. 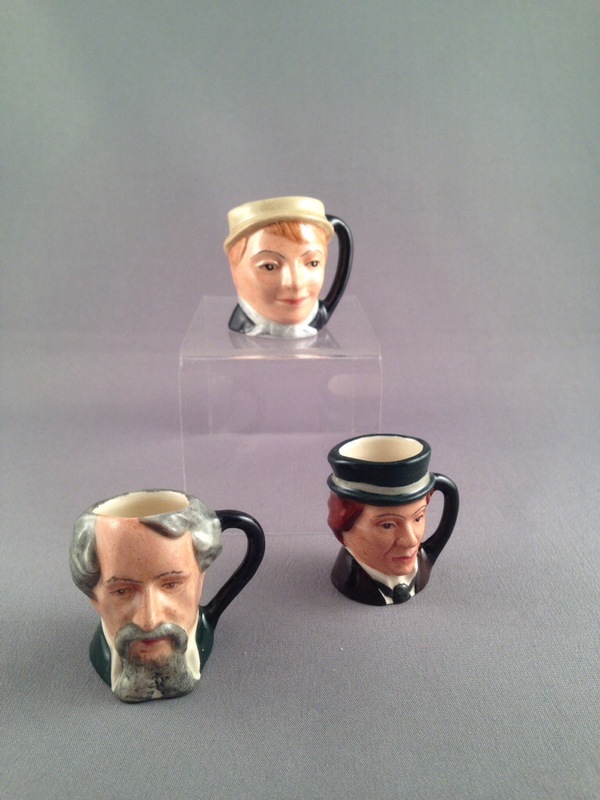 Harradine’s small Dickens figures appear mounted on a variety of bases, like this selection too. 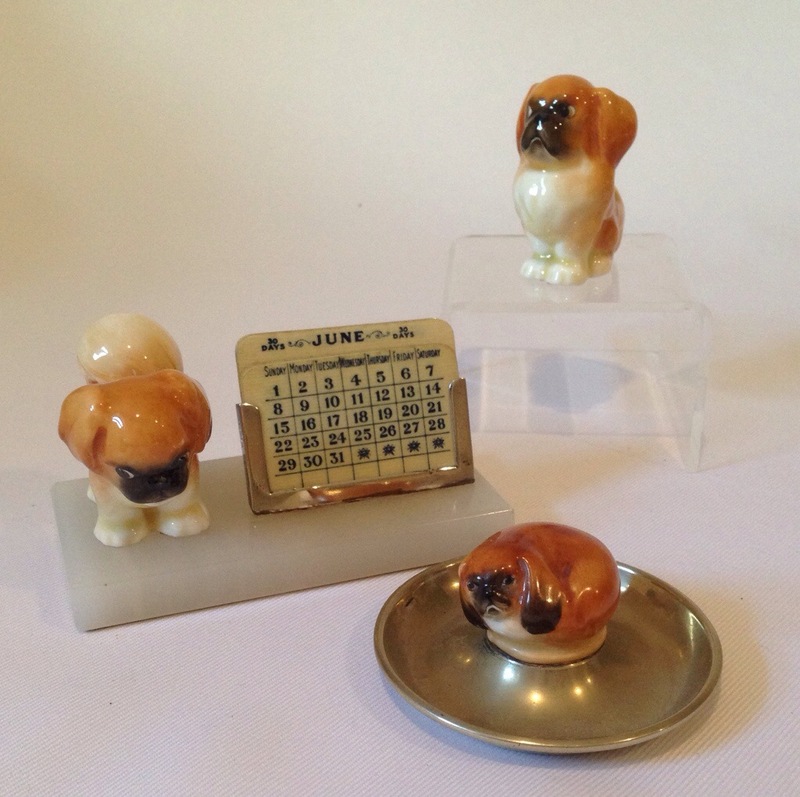 Small Doulton animals are also found mounted as many different objects but particularly desk furniture. Here is a comical fox I found mounted as a stamp tray. And also a Sealyham begging mounted on this calendar. As many of you know Pekingese play an important part of my life and I have managed to assemble this small group of objects all with mounted Pekingese! Many of these objects, especially those mounted with sterling fittings would have been retailed by top jewellers of the period including Asprey and Garrards in London. 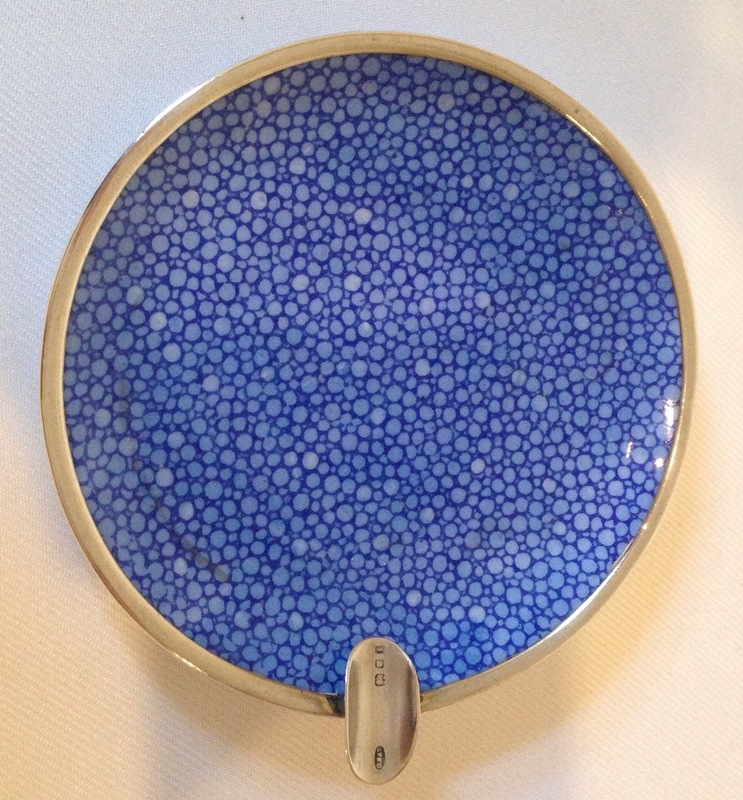 Even more ‘normal’ objects such as pin trays were given sterling mounts so as to make them exclusive objects for top jewellers, such as this Shagreen pin dish (in an unusual blue) which has been given silver mounts to turn it into an an ashtray! 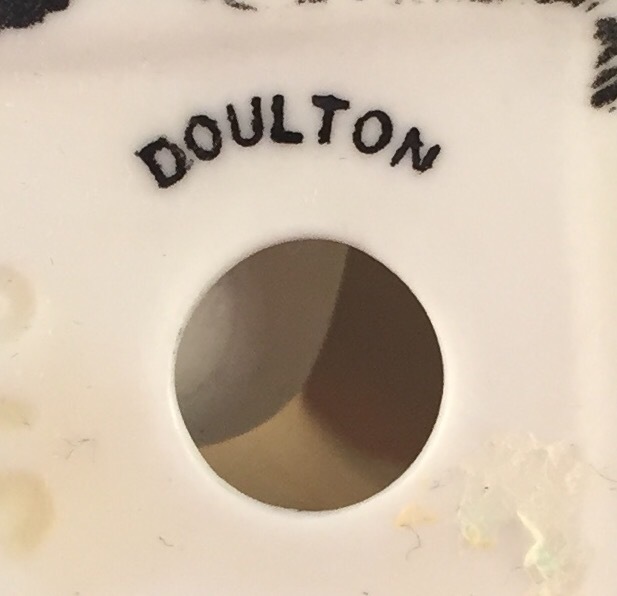 This is only a sample of possible objects, and we would love to hear from you if you have other items mounted with Royal Doulton on our Doulton Collectors Facebook page! 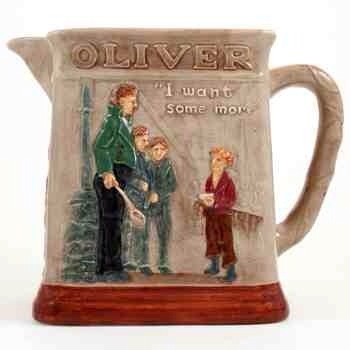 When it comes to the works of Dickens, Charles Noke, Doulton’s art director at Burslem was blatantly a fan if not obsessed by all things Dickens. 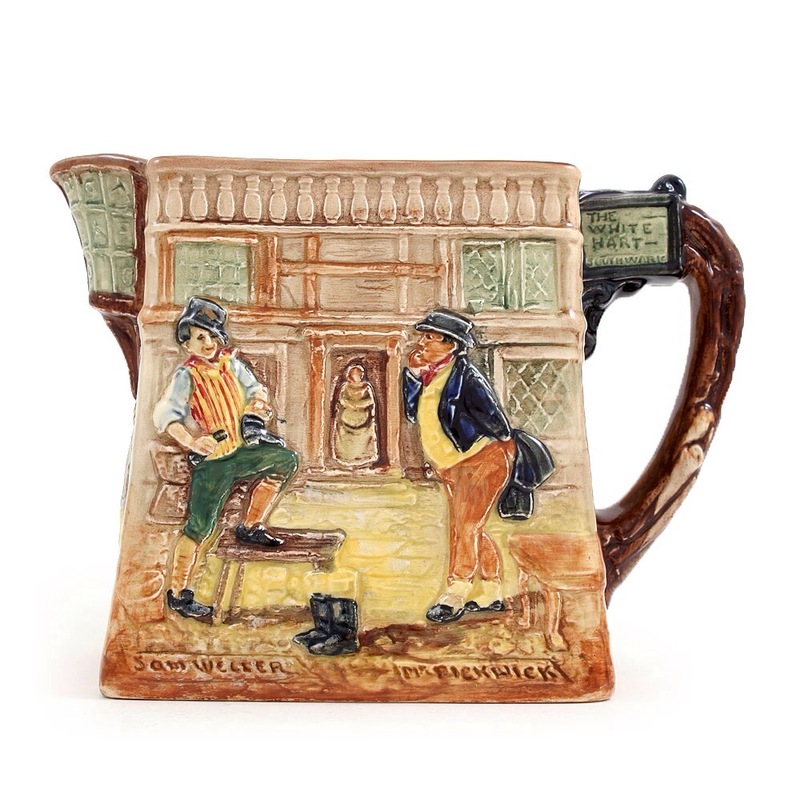 From the early 20th century and throughout his time as art director and even after, Doulton have produced a wide variety of wares to commemorate Dickens’ works. The lengthy of time these many wares were produced mean that there is something for every collector, old and new and something for every pocket size too! 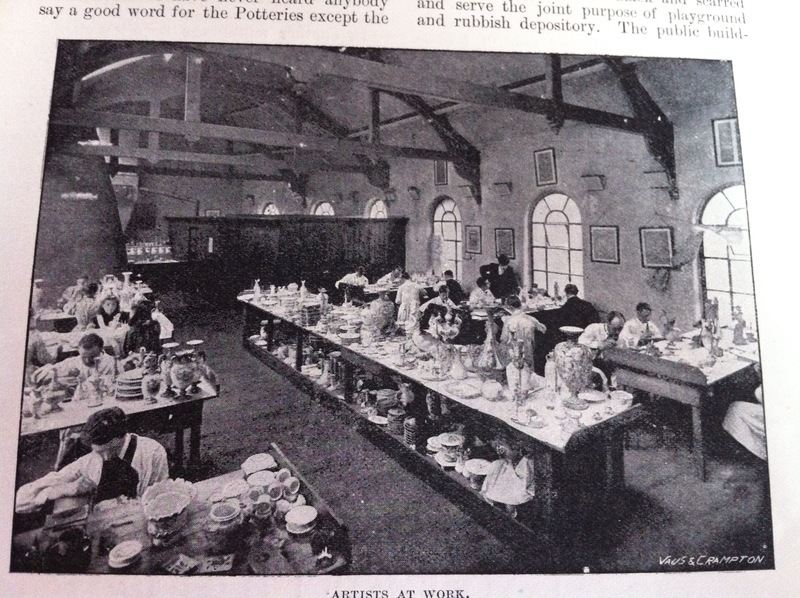 Here is a glimpse at the sheer variety of wares produced by Doulton, the majority under the direction of Noke himself! 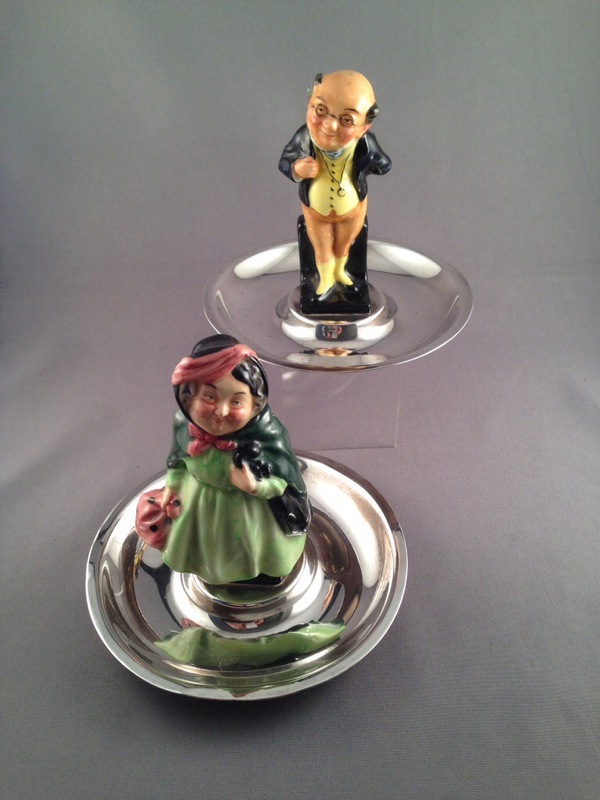 Two sterling silver trays mounted with Dickens miniatures.